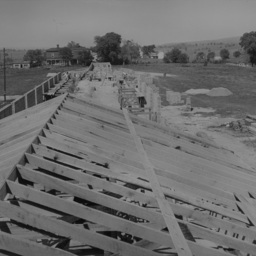 The William Hoyle Garber Collection consists of 503 digital images stored on a single thumb drive and also available online via the archives digital collections platform. 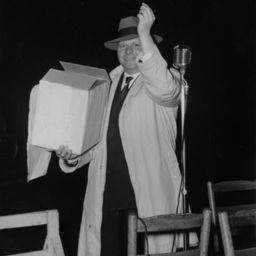 The original materials are primarily 8x10 black and white prints with approximately 2 5x7 prints and 110 images are from negatives. They were taken and developed by William Garber. The items were scanned and stored in a thumb drive in jpg format. Photographs are numbered chronologically according to how they appeared in the Mt. Jackson Museum collections and contain an hg prefix. 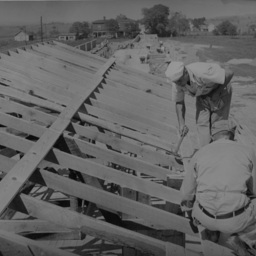 The subject matter encompasses structures, people, businesses, industries, disasters, etc. from the area between Harrisonburg and Woodstock. 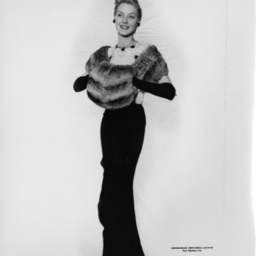 Identification is provided by an attached identification sheet or via the digital collections platform. The digital collection is divided into 21 series. 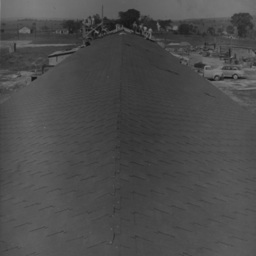 Photograph taken by William Hoyle Garber showing an aerial view of Mt. Jackson Virginia. 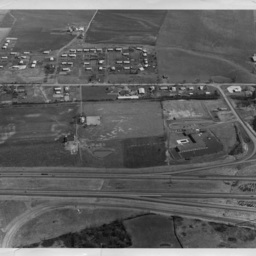 The image shows the area immediately adjacent to the interchange with the recently completed motel. 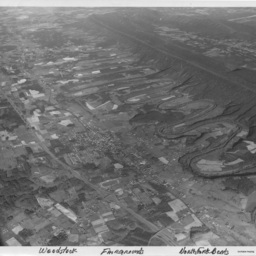 Photograph taken by William Hoyle Garber showing an aerial view of Woodstock Virginia. 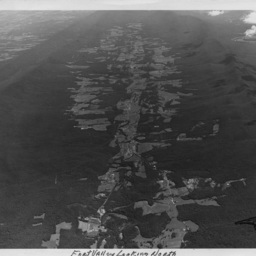 Photograph taken by William Hoyle Garber showing an aerial view of Fort Valley Virginia. 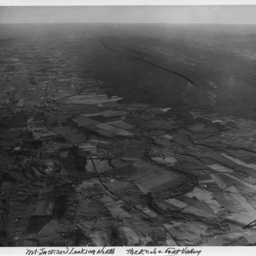 Photograph taken by William Hoyle Garber showing an aerial view of Mt. Jackson Virginia. 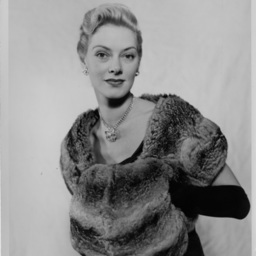 Photograph taken by William Hoyle Garber showing a girl modeling a chinchilla coat. 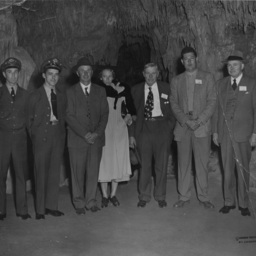 Photograph taken by William Hoyle Garber showing an unidentified group in a cavern. 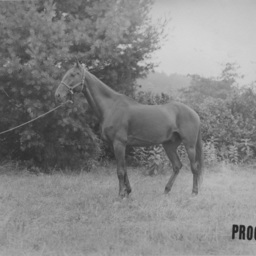 Photograph taken by William Hoyle Garber showing a group of unideintified horse. 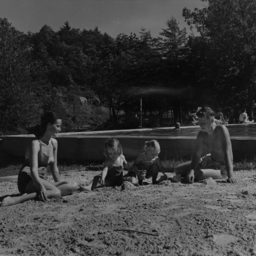 Photograph taken by William Hoyle Garber showing a group of unideintified man, women, and two children at an unidentified pool. 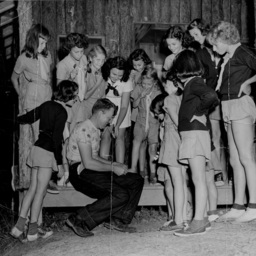 Photograph taken by William Hoyle Garber showing a group of undeintified girls at Camp Strawderman, a girls camp west of Woodstock. 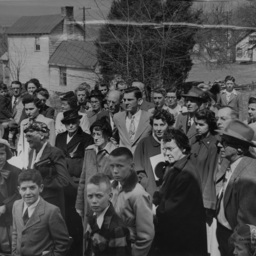 Photograph taken by William Hoyle Garber showing an unidentified group of men, women, and children. 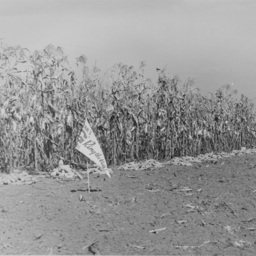 Photograph taken by William Hoyle Garber showing a flag with "Ring the Bell" beside a corn field. 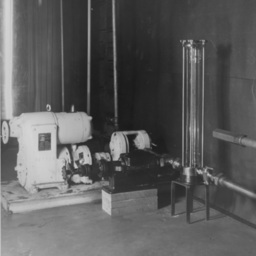 Photograph taken by William Hoyle Garber showing unidentified machinery. Undated photograph taken by William Hoyle Garber showing Eugene Fleming of Mt. 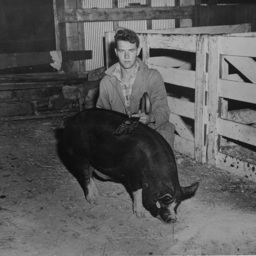 Jackson and his show hog. 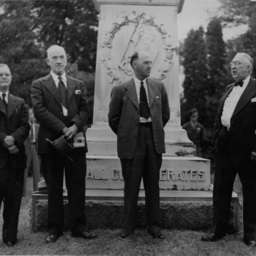 Photograph taken by William Hoyle Garber showing a group of four unidentified men at a Confederate monument. 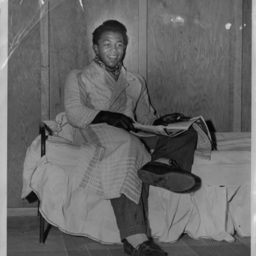 Photograph taken by William Hoyle Garber showing an unidentified man. 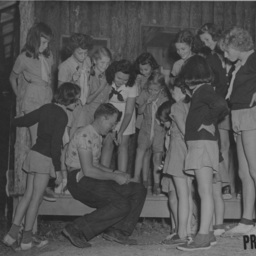 Photograph taken by William Hoyle Garber showing a group of unidentified girls at Camp Strawderman, a girls camp west of Woodstock. 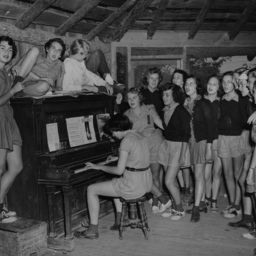 One of the girls are playing the piano while the rest watch. Photograph taken by William Hoyle Garber showing a group of unidentified girls at Camp Strawderman, a girls camp west of Woodstock. 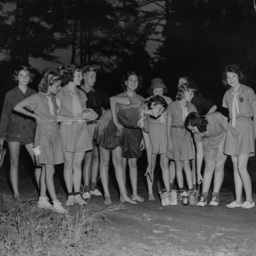 Photograph taken by William Hoyle Garber showing a group of unidentified girls at Camp Strawderman, a girls camp west of Woodstock. 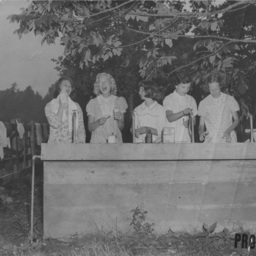 The girls are washing at the camp. Photograph taken by William Hoyle Garber showing a group of unidentified girls at Camp Strawderman, a girls camp west of Woodstock. 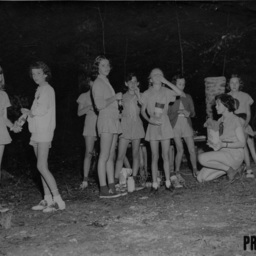 The girls are eating snack at one of the camp's activities.